Observation - Common Darter Dragonfly - UK and Ireland. 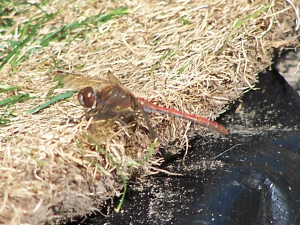 Description: dull red dragonfly, approx 3 long visiting garden pond. dull red dragonfly, approx 3" long visiting garden pond.